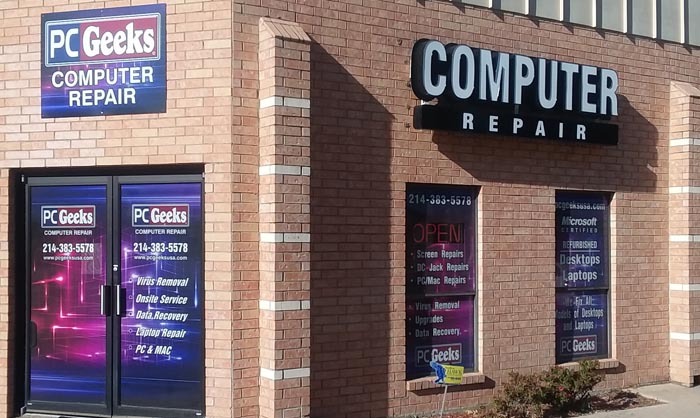 Located just minutes from Central Expressway, Allen PC Geeks is your trusted solution for computer repair, data recovery and virus/malware removal in Allen, Plano, McKinney and throughout Collin County. We are the alternative to big box retailers bent on selling you replacement computers. Repairs are generally far less than device replacement costs. Allen PC Geeks can address your Mac or PC problem or need, be it a broken screen, a non-responsive operating system, desired software or hardware upgrades, or the like. We CAN recover those files you believe to be, or have been told to be, unrecoverable. We understand the potential security risks of viruses and malware beyond the frustration and loss of productivity they bring. With Allen PC Geeks, you’ll know who handles your computer and can take solace in the fact that we stand behind our work. We understand the stress computer dysfunction can bring. Let us help you get back up and running in a timely and efficient manner. Give us a call today to discuss your needs. Our Allen store serves Anna, Fairview, Lucas, McKinney, Plano, Richardson, Parker & Wylie. We also service extended areas, please call for details.